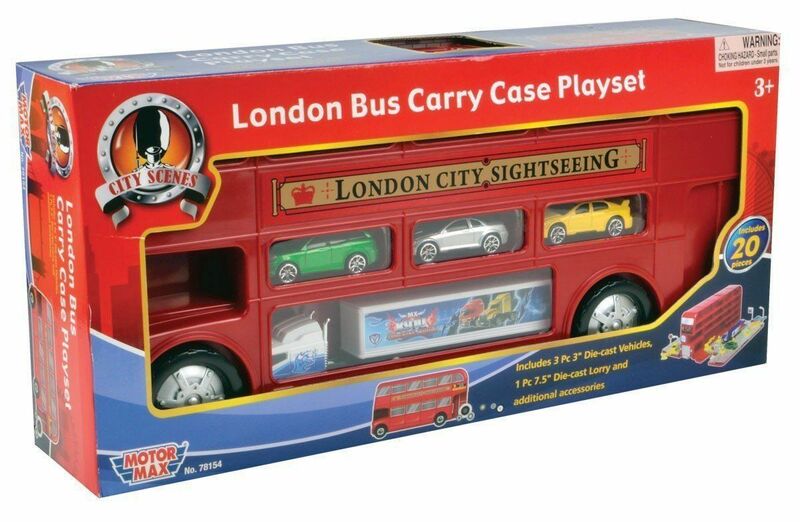 London Bus Carry Case Playset with Cars and Accessories. 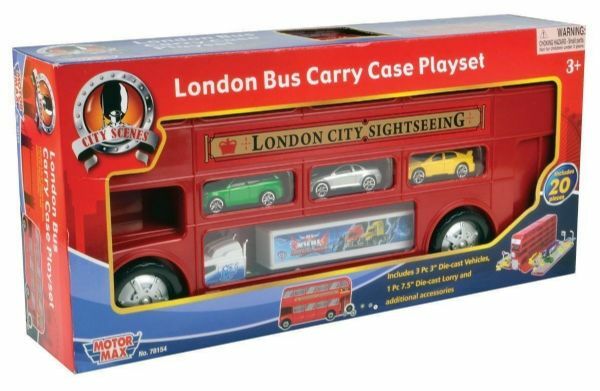 Home / Vehicles / London Bus Carry Case Playset with Cars and Accessories. 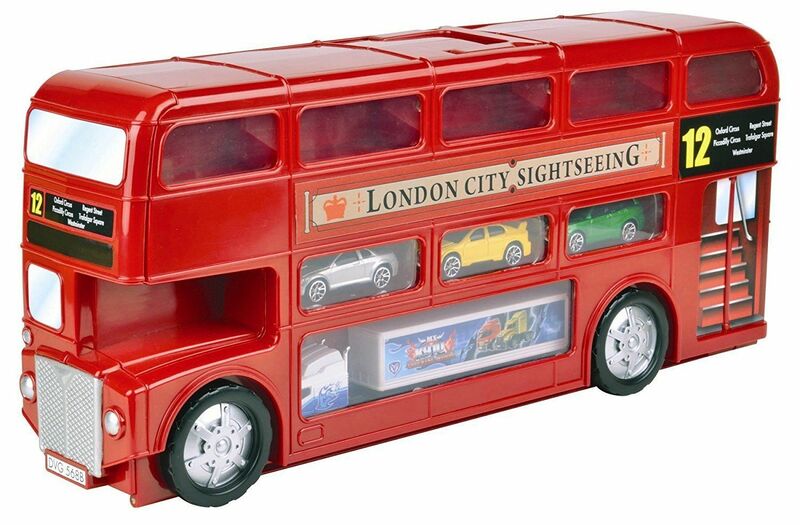 This Transforming London Bus Carry Case Playset will provide hours of fun. 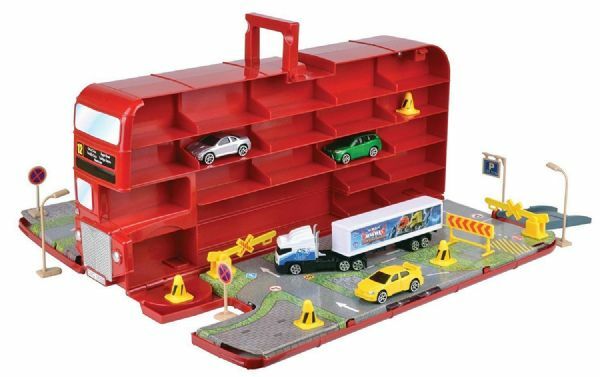 The set comes with 3 die-cast vehicles and one 7.5" die-cast lorry with trailer. There is additional storage space to add your own favourite vehicles. The Bus opens out to create a street scene with playmat and accessories. Includes Push Along action. The bus is made from durable plastic with a carry handle. All pieces can be stored away for safe keeping.